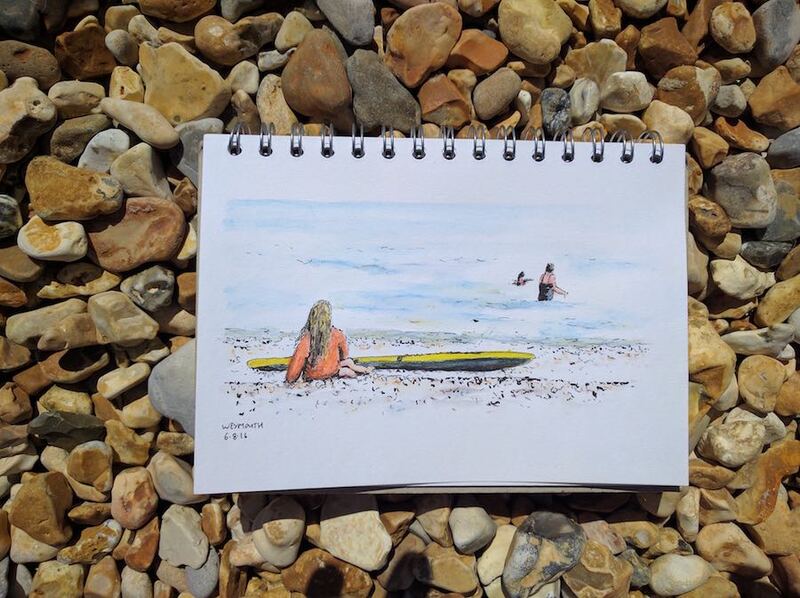 Quick Sketch at the Beach – Pens! Paper! Pencils! 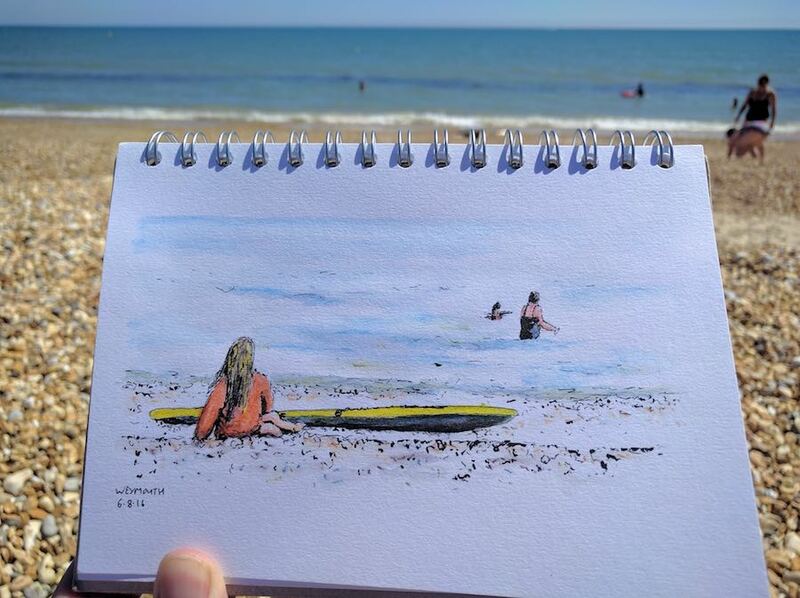 A quick little sketch at the beach. As always, as soon as I started to draw the person sitting with the canoe left (with the canoe).